I asked that question in mid-2014 after three years of aggravation with the batteries and charging system on my coach. I answered it in the affirmative. I now have a Lithium-Ion Coach battery and expect that it will be the last coach battery this RV will have. Hopefully the information contained in the next few TechTips will provide the information you may have been looking for and assist you in deciding whether converting is something you want to do. Disclaimer: Some of the photos on my supplier’s website are of my coach before and after installation. Other than having bought our battery from them, we have no financial or other interest in their business. This TechTip is for your information only. 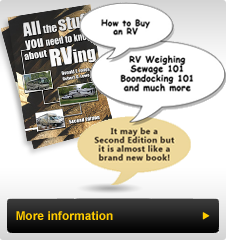 Rather than bore you here with all of the issues we faced and had to overcome with our existing batteries and charging system, I’ll refer you to my Blog at www.RV-PartsPlus.com under the topic Battery Charging Issues, dated January 2014, Parts 3 & 4. Our RV suffered from a large number of issues that related to initial manufacturing deficiencies, defective products (and replacements) that severely affected the longevity and reliability of the battery power systems. While on a trip this summer, we determined that the three year old coach batteries were not able to provide dependable power after boondocking overnight with the inverter turned off. This was unusual and after checking each battery I determined that two of the four Trojan 6 Volt AGM batteries were no longer providing dependable power and needed replacement. I had already replaced the Chassis batteries, (that had been replaced under warranty), six months earlier, and the engine started as it never had before. Logic said just replace the Coach batteries (all four of them) and carry on – after all, I got three years out of them and with all the problems, the life of the Coach batteries was likely influenced by all of those issues. The bugs seem to be out of the system and with new batteries we should be able to enjoy dependable power. Our RVing involves regular boondocking without power, in addition to staying at Canadian campgrounds that are not equipped with many 50 Amp campsites. Further compounding the power problems, some do not have dependable 30 Amp power, especially when demand is high in the hot summer months. Thus having dependable power options is a necessity for us. When checking AGM Battery pricing, both in the US and in Canada, I found that the net price was less in Canada after accounting for the currency differential and the core allowance. The co-author of my book, Ron Jones, had replaced his batteries (both Coach and Chassis) with Lithium-Ion Batteries three and a half years earlier and he was very satisfied with them. During a phone call, he asked if I had considered changing the coach batteries to Lithium-Ion ones? Ron has been full timing for over ten years and I could see the benefit to him, especially when he boondocks. In addition, since he was one of the first RVers to convert to Lithium-Ion, his battery supplier wanted to see the coach each year to examine the batteries and see how they were faring. The report, after thoroughly testing them annually, was that they were as good as new. The company also made some running improvements involving the packaging of the cells during this time. After talking about it with him, I thought it might be wise to add this type of battery to my inquiry list. His parting comment was that I had better be sitting down when asking for the price: they are not cheap. That is true! I contacted Ron’s supplier, Lithionics Inc.,( http://www.lithionicsbattery.com) which recommended and sells a 400 Amp-Hour Battery and I obtained a price. After picking myself up off the ground, I started doing some research on other alternatives. One complicating factor was that it would be three weeks to a month to get a new battery, which made it more difficult to fit into our schedule. I also contacted a competitor, Smart Battery (http://www.lithiumion-batteries.com) and chatted with both their US technical sales personnel and their Canadian counterpart. Pricing for a 300 Amp-Hour Battery, which we determined would likely be sufficient for my coach needs, was about three times the cost of the AGM replacements I had researched and they could supply a battery within a week. I concluded that if the decision was to be based on short term, out of pocket cost, then there is no justification for the Lithium-Ion Battery. Looking into the longer term with the cost of AGM battery replacements then the cost-benefit analysis balance started to shift. We keep our coaches for many years and that entered into the equation as well. As you will see there are many indirect benefits of the upgrade which make RVing more fun and less stressful. How do you value those benefits? However that is where it gets interesting. For comparison, I have included the specifications for the Lithium-Ion Battery and the matching one for the Trojan 6V AGM battery, adjusted for the four batteries connected in series, parallel as they would be when installed in our coach. One of the most amazing statistics is the capacity of a battery after 2000 charge/discharge cycles is 80 percent of what the battery delivered when new. Combine that with the fact that there is no memory effect, meaning it will always fully charge, (not like Ni-Cad tool batteries) and you have very powerful battery for the long haul. Here are a few other characteristics that you will discover: The voltage is relatively constant until it is discharged, it does not drop off significantly like the typical Coach battery. With only one connection for each side of the battery and with no water to add, there is no corrosion and maintenance is zero. There is a 1:34 minute video on the Smart Battery website http://www.lithiumion-batteries.com/lithium-rv-deep-cycle.php that answers a lot of questions about quality, construction, safety (i.e. fire hazard) and highlights the fact that a Lithium-Ion battery is truly a "Smart” battery with a computer control board that manages the battery. The battery ships direct from the manufacturer’s distributor to you by ground transport. It comes fully crated as you can see in the enclosed photo. We placed it on a child’s wagon to make it easy to move around. The packaging adds about 30 lbs. (13.6 kg.) to the actual battery weight. It is well secured and was easy to lift out of the container since the battery is equipped with nylon rope handles. Check out the next Technical Tip as we continue the conversion process and the actual results.